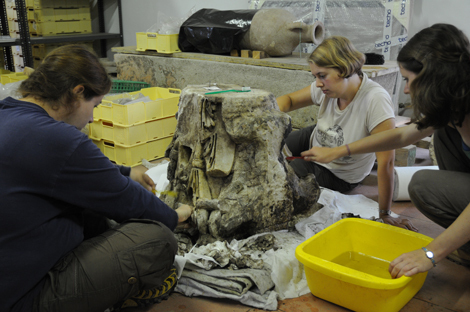 In addition to ceramics and marble, our excavations have revealed a range of finds that provide precious new information about changing patterns of human activity in the harbour area of a major Roman port. 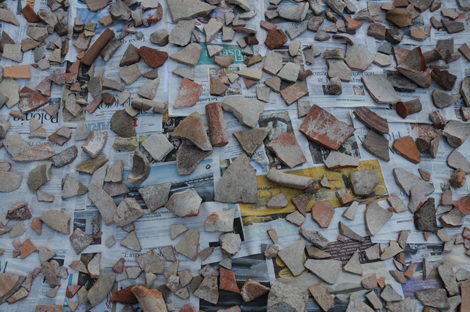 Metalwork, including late Roman coins, has proven quite common, as have fragments of painted wall-plaster. 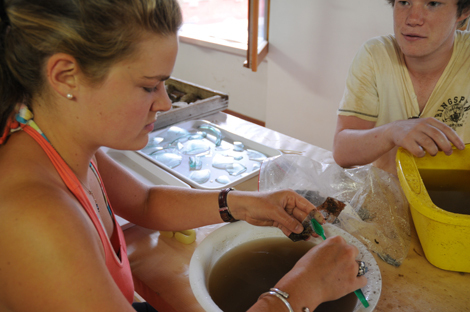 However, amongst the most significant finds have been the remains of food consumed in this part of the port, or re-deposited here, including animal and fish bones, carbonized seeds and ancient pollen. In addition to these materials, human bones deriving from burials of the later 5th, 6th and 7th centuries AD are providing a ready source of information about the characteristics of the human population, including their diet and health.